Renting in Chicago: What will $1,800 get you? 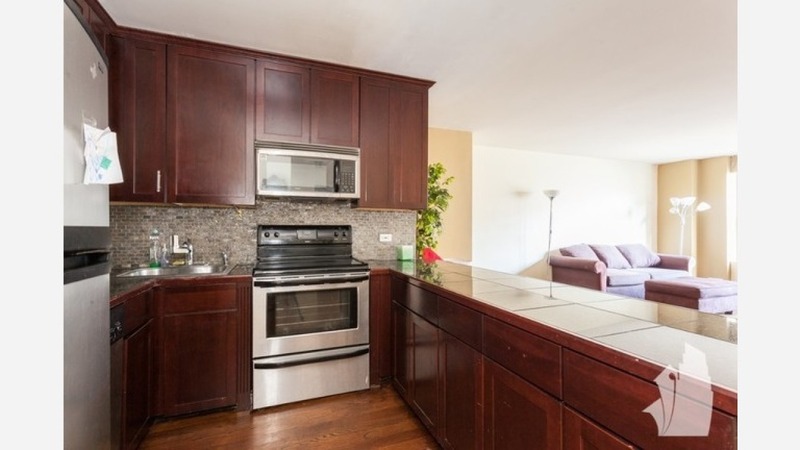 Listed at $1,800 / month, this 1-bedroom, 1-bathroom condo is located at 221 E Cullerton St. In the unit, you can expect hardwood floors, a dishwasher, in-unit laundry, a balcony and granite countertops. Building amenities include garage parking, an elevator and storage space. Unfortunately, pets aren't allowed. Here's a 1,000-square-foot 1-bedroom, 1-bathroom apartment at 757 North Michigan Ave. that's going for $1,800 / month. In the unit, you'll get air conditioning, hardwood flooring, a dishwasher and stainless steel appliances. The building offers on-site laundry, garage parking, an elevator, storage space, secured entry and on-site management. Cats and dogs aren't allowed. Located at 2230 North Orchard St., here's a 1-bedroom, 1-bathroom apartment that's listed for $1,800/ month. In the unit, you can anticipate a dishwasher, hardwood floors, a balcony and a fireplace. When it comes to building amenities, expect storage space, on-site laundry and outdoor space. Good news for pet owners: cats and dogs are welcome. Listed at $1,800 / month, this 1-bedroom, 1-bathroom apartment is located at 345 N LaSalle Dr. In the condo, you can anticipate a balcony, built-in shelves, in-unit laundry and granite countertops. The building has garage parking, outdoor space, a swimming pool, a fitness center, an elevator, storage space and on-site management. Both cats and dogs are permitted. Next, there's this 1-bedroom, 1-bathroom apartment situated at 2800 North Orchard St. It's listed for $1,800 / month. Located at 1615 North Winchester Ave., here's a 1-bedroom, 1-bathroom apartment that's listed for $1,800 / month. In the unit, you can expect hardwood floors, high ceilings, a dishwasher, a walk-in closet and a balcony. Building amenities include on-site laundry. Hairball alert: feline friends are permitted.